My husband buys fresh fish from the Japanese Market to make nigiri sushi at home. It beats going to the expensive, busy restaurants and he has a lot of fun making them. 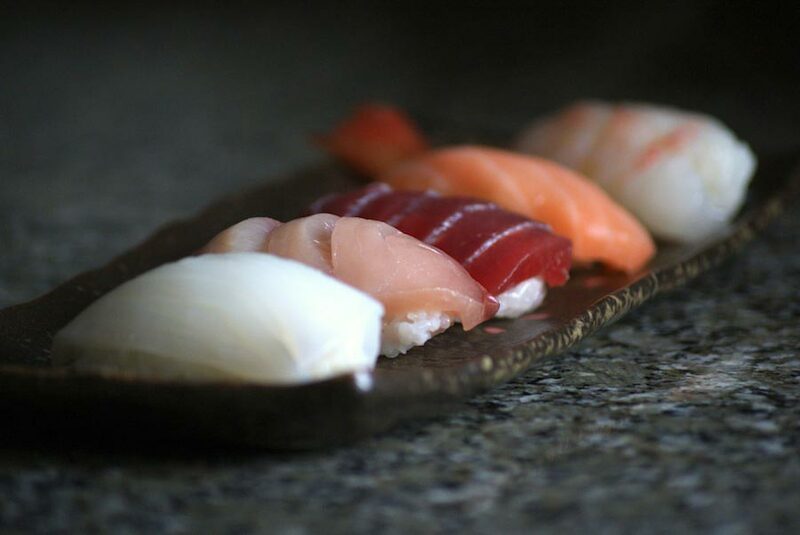 If you decide to make nigiri sushi at home, don’t forget to make the sushi rice and always use sashimi grade fish. My husband’s specials for the night were ika, hamachi, hon maguro, sake, and amaebi. He thought they looked ugly, but I thought they were adorable and delicious! !